What Neck Injury Medical Treatment Does Workers Compensation Cover? If you suffer a serious neck injury at work, you need to make sure you get good workers compensation medical treatment. A serious neck injury can limit your ability to work. Making sure you get good treatment should improve your chances of recovering and returning to work. In addition to affecting your ability to work, a serious neck injury can cause you pain and put you at risk of permanent impairment. Some types of neck injuries even put you at risk of paralysis. How do you get the treatment you need through workers compensation so that you can have a good recovery? I will discuss the answer to that question and many others in this article. What type of workers compensation doctor should I see for a neck injury? One of the primary benefits of Georgia workers compensation is payment for medical treatment and testing. The workers compensation insurance company should pay for reasonable and necessary medical treatment that you need for your work injury. When you suffer a neck injury, you will probably want to make sure you treat with a doctor who specializes in treatment of the neck. It is likely that this doctor will be an orthopedic surgeon. Often, you can check online to find out if the particular doctor you see specializes in treatment of neck injuries. This will allow you to make sure you are seeing a neck specialist. How do I get to a workers compensation doctor who specializes in neck injuries? Unfortunately, you will probably not be able to pick any workers compensation doctor you want for treatment. Georgia workers compensation has rules about which doctors you can see after an injury. The starting point is that your employer is supposed to have either a panel of physicians or a WC/MCO. Both a panel of physicians and a WC/MCO are lists of workers compensation doctors. 90% or more of employers use a panel of physicians. When you suffer an injury at work, you can select a doctor off of your employers list to serve as your authorized treating physician (ATP). Your authorized treating physician is your primary workers compensation doctor. Hopefully, you can select a good neck doctor off of your employer’s list. But, the list may not have a good neck doctor. 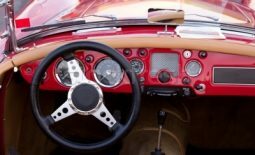 Fortunately, Georgia law allows your authorized treating physician to refer you to a specialist if needed. So, you may need to select a doctor off the list who is not a neck specialist and then ask that doctor to refer you to a neck specialist. 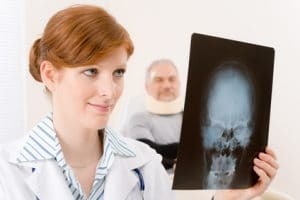 What neck injury medical treatment does Georgia workers compensation cover? I discussed this above. Georgia workers compensation has rules requiring your doctor to be an authorized medical provider. Your authorized treating physician is always an authorized doctor. Your authorized doctor’s referral to a specialist makes that specialist an authorized referral doctor. You do not have to demonstrate that the treatment is guaranteed to work. Treatment can be reasonable even if it does not work all the time. The main problem you need to watch out for are experimental or nonscientific treatments. For example, treating with a witchdoctor to repair the herniated disc in your neck would likely not be reasonable and necessary treatment. The work injury needs to have caused or accelerated the need for the medical treatment. It is important to remember that Georgia’s workers compensation law covers aggravations of preexisting conditions. So, the insurance company may have to pay for neck surgery even if you had a preexisting neck condition. How do I get workers compensation to approve the medical treatment my doctor has recommended? Unfortunately, getting approval for medical treatment is often a big problem in workers compensation claims. 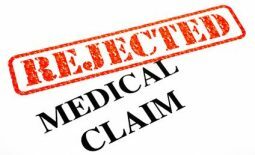 Doctors often will not move forward with providing the treatment they recommend until the insurance company has authorized it. There are some tips and forms that you or an attorney can use to try to get your treatment approved. I discuss some of the different ways to get medical treatment approved in this article. How long do I have to get workers compensation medical treatment for my neck injury? Like many other Georgia workers compensation benefits, the right to workers compensation medical treatment is limited in almost all workers compensation cases. If you suffered your work injury after June 30, 2013, you only have 400 weeks to get medical treatment for your injury (unless your injury qualifies for a catastrophic designation). Georgia’s workers compensation law has many tricky deadlines that can prevent you from receiving the benefits you should. Find out about a few more of them by reading this article. What if I have other questions about Georgia workers compensation? Having a better understanding of Georgia workers compensation law can improve the chances that you get the benefits you should. I write articles on our PerkinsLawTalk to provide helpful information to people who are suffering with workers compensation injuries. Often, some question that you have is not covered in an article. Or, you may just need to know how the particular facts of your case will interact with Georgia’s laws. I provide free consultations in workers compensation cases to help answer these questions. To learn more about how a free workers compensation consultation works, just read this short article. If you decide you want to set up a consultation, it is easy to do and only takes a few minutes. You can either call our office at (770) 214-8885 or complete and submit this consultation request form. Cliff and Jason Perkins are down to earth, hometown people that I think of like family. If I need them, I can reach them anytime. They are always courteous, polite and professional.